Home HCG HCG Levels In Early Pregnancy: What Is Normal? HCG or the human chorionic gonadotropin hormone secreted within the body and which can be detected in the urine of a pregnant woman is what helps confirm a pregnancy. This hormone is made by the embryo soon after conception later by the placenta. It is able to be detected in female urine as early as the sixth day after conception and so this is what is able to confirm a pregnancy by using a commonly used pregnancy strip. Rather than absolute HCG levels in early pregnancy, it is any change or fluctuation in the HCG levels that are of important. When the expected rise in levels is observed, this is a sign of a normal and healthy, flourishing pregnancy. Falling HCG levels in early pregnancy, however, may be an indication of an impending miscarriage or other complication in the pregnancy. HCG levels in early pregnancy also help in evaluating the dangerous condition of an ectopic pregnancy. If it is observed that HCG levels are not rising in accordance with the expectations for a given pregnancy, (which are supposed to double every few days at that stage), this is indicative of a greater chance of ectopic pregnancy, so that the doctor is alerted to this possibility as well by monitoring a woman’s HCG levels. In certain cases falling HCG levels in early pregnancy may be indicative not of any problematic condition or abnormality, but rather indicative of the phenomenon called the Vanishing Twin Syndrome. When a woman is pregnant with twins or other multiples, she will typically display higher levels of HCG, which levels however are seen to fall when there is the loss of one of the fetuses as in the case of the vanishing twin syndrome. HCG levels in early pregnancy can vary greatly, with there being no absolute standard for all pregnant women. A wide range can be considered ‘normal’. What is of more importance is that the levels should rise in accordance with expectations. So, usually blood tests are administered a few days apart in order to gauge whether the levels are rising as required. In up to 85% of pregnancies, it is expected that the HCG levels continue to rise at the rate of doubling every two to three days. HCG levels in early pregnancy therefore are of crucial importance for understanding the normalcy of a pregnancy and for pinpointing any problems or complications that may be ongoing. 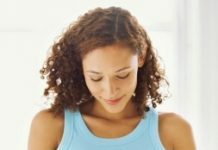 HCG levels are also a predictor for an impending miscarriage, making them all the more important. Previous articleWhen Does The Pregnancy Test Show A False Positive? Hcg diet drops are a miricle substance I have lost 45 kg’s and i feel like a new person. I just want to thank all who helped along the way especially all the blog’s and experts etc. i hope that i can repay the favour to others.